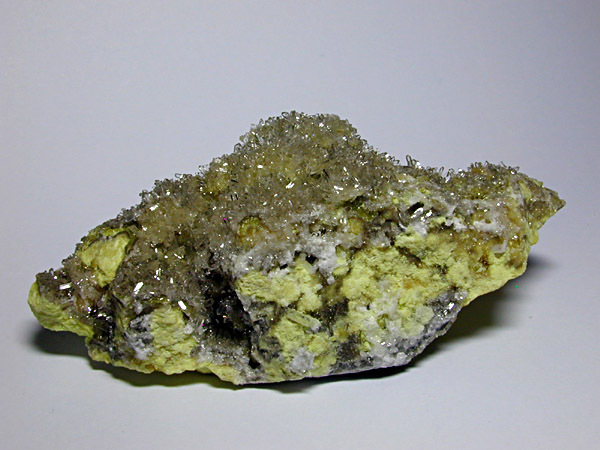 Origin Machow Mine, Tarnobrzeg, Podkarpackie, Poland. 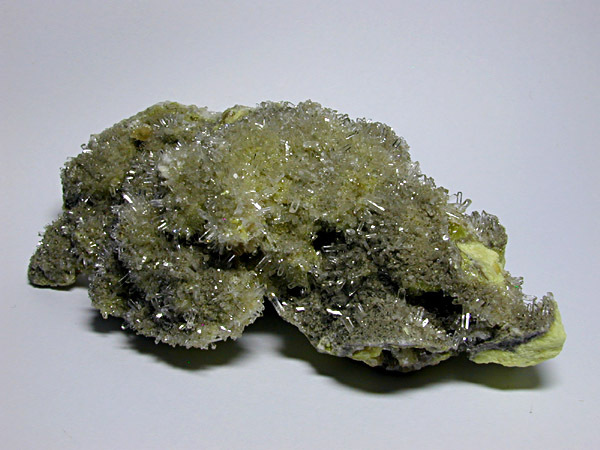 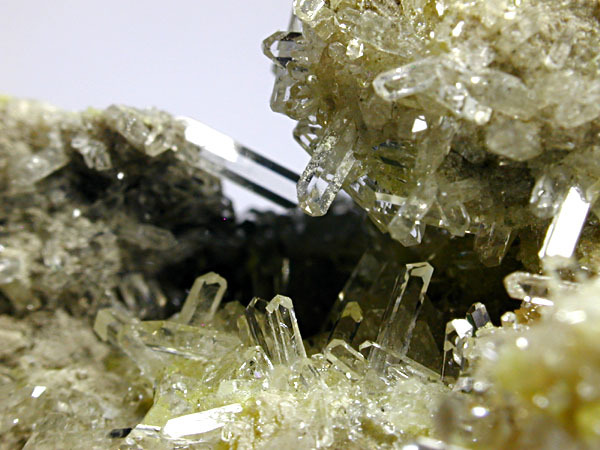 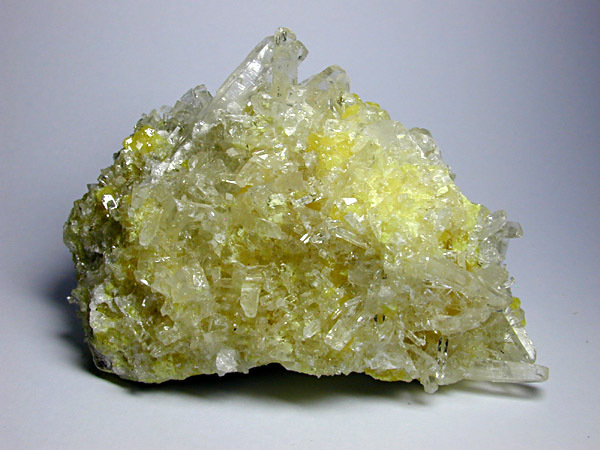 Description A mass of 3mm to 4mm glistening lustrous colourless water clear celestite crystals covering and filling cavities of matrix made up of pale yellow massive sulphur mixed with matrix rock. 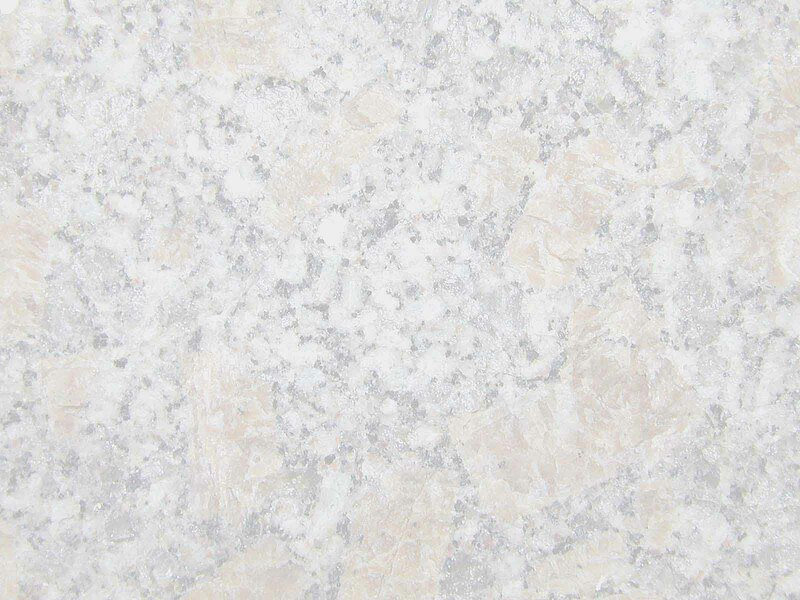 Dimensions 100mm x 40mm x 40mm appx. 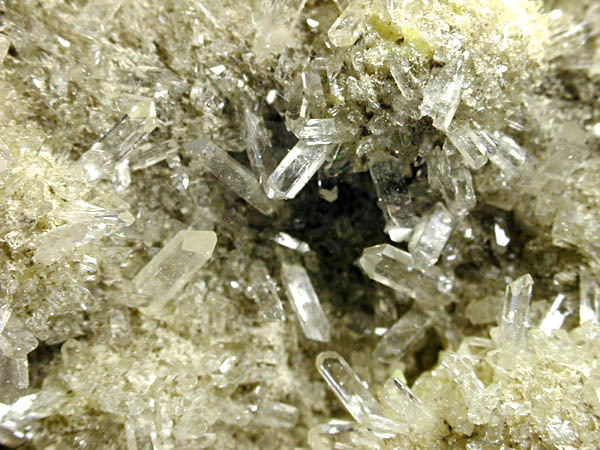 Largest crystal 2mm to 4mm appx. 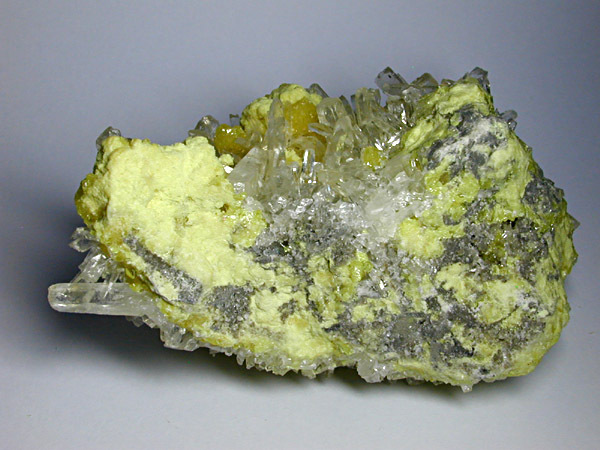 Description Lustrous colourless celestite crystals, some terminated, intergrown on and in cavities in fine grained sulphur rich matrix. 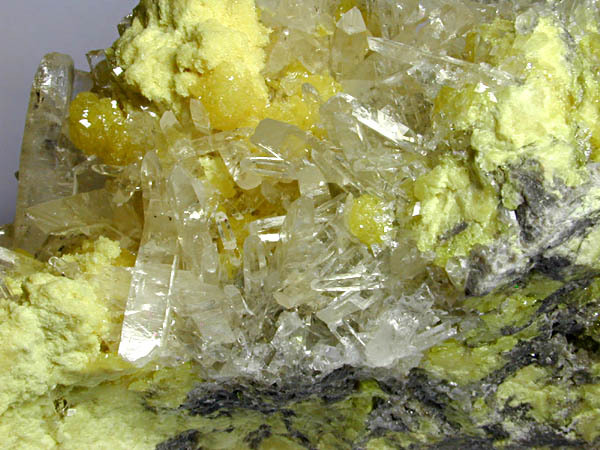 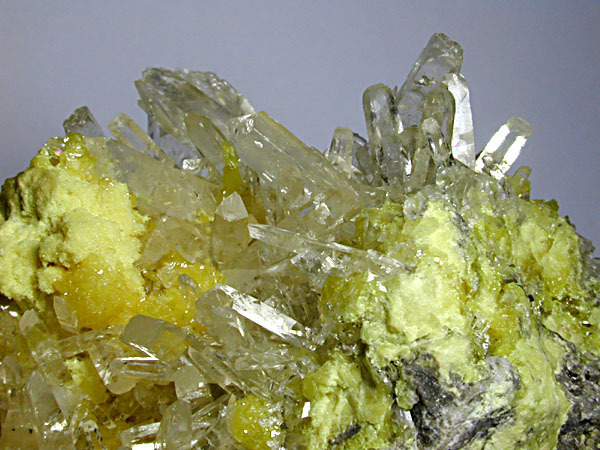 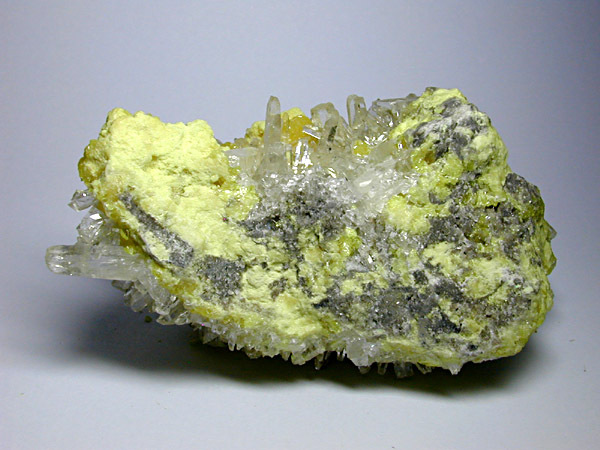 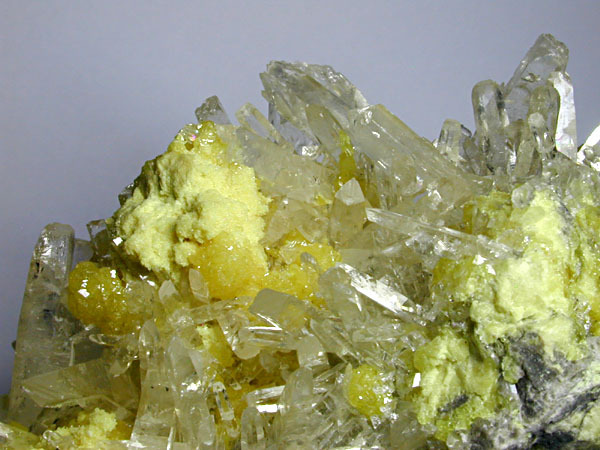 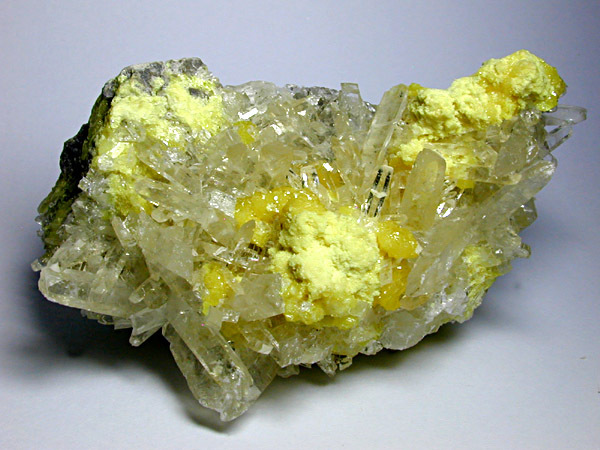 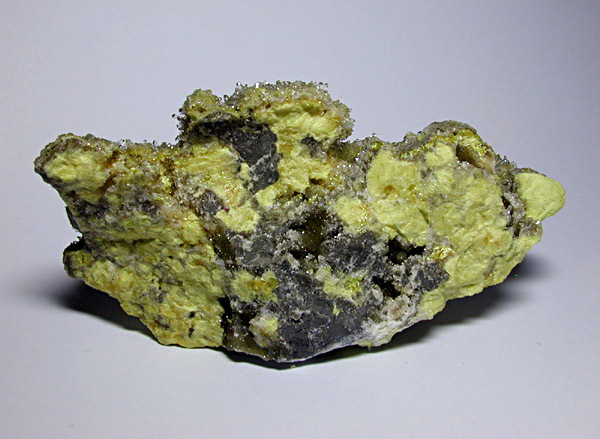 The sulphur exhibits two phases of growth, the primary more golden coloured crystals and the finer grained, pale lemon yellow secondary deposits. 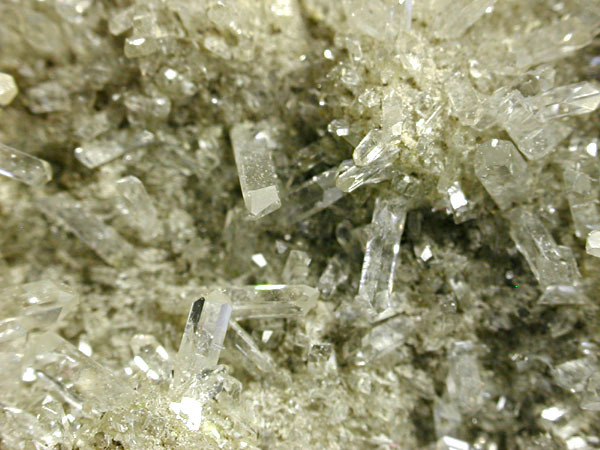 Dimensions 80mm x 45mm x 45mm appx. 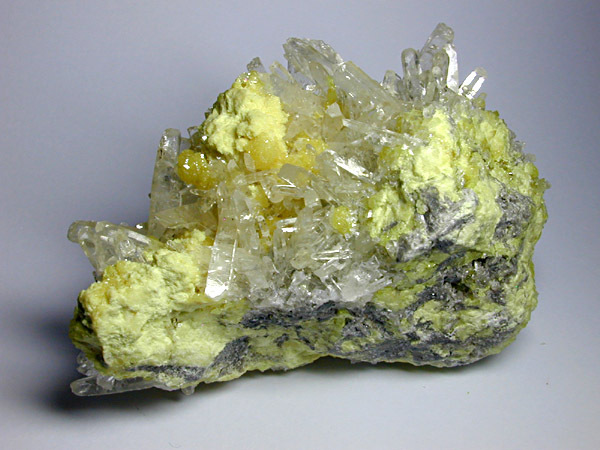 Largest crystal Celestite: 15mm appx., Sulphur (Primary): 2mm - 3mm appx.